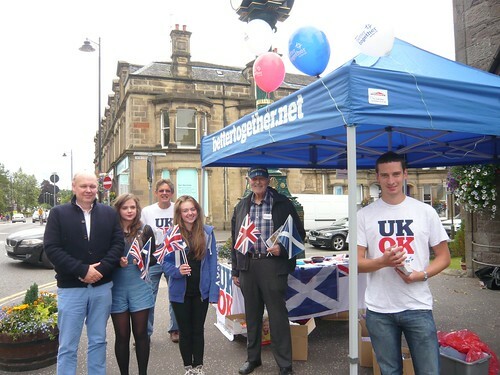 Better Together stall in Bridge of Allan, August 2013, originally uploaded by Scottish Political Archive. Better Together campaign stall in Bridge of Allan on 10th August 2013. This picture shows campaigners including Ross Oxburgh (Better Together Stirling organiser), Callum Campbell (Conservative candidate for Clackmannan and Dunblane in the 2011 Scottish Elections) and Dr Richard Simpson (Labour MSP for Mid Scotland and Fife). 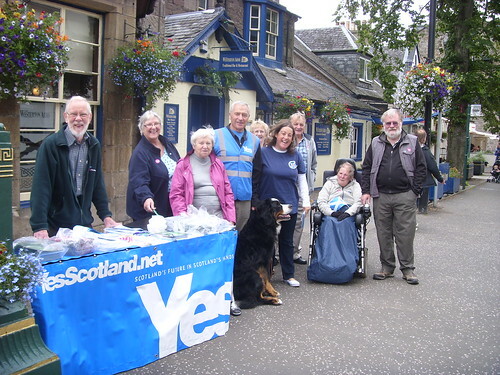 YesStirling campaigning in Bridge of Allan, August 2013, originally uploaded by Scottish Political Archive. 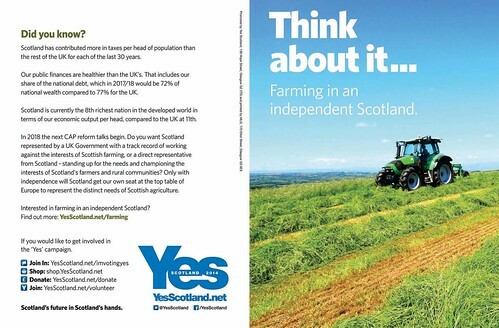 Yes Scotland stall in Bridge of Allan on 3rd August 2013. This weekend was the Bridge of Allan Highland Games so Yes were campaigning on Saturday and Sunday in the village. Image courtesy of Megan Morgan. 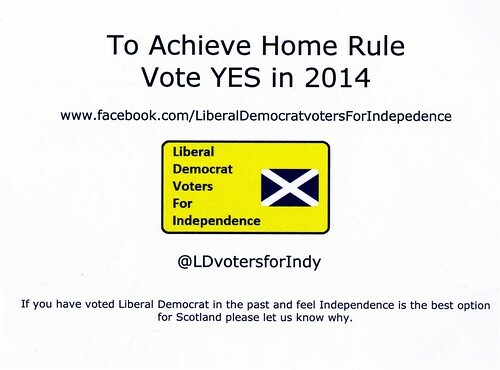 Radical Independence Leaflet, June 2013, originally uploaded by Scottish Political Archive. Radical Independence are group of activists, intellectuals, and representatives from across the progressive movement who united to build an extra-parliamentary conference in support of Scottish independence. March and Rally for Scottish Independence event, July 2013, originally uploaded by Scottish Political Archive. 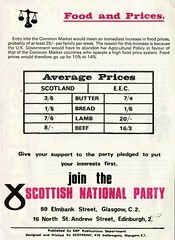 March and Rally for Scottish Independence promotional event. 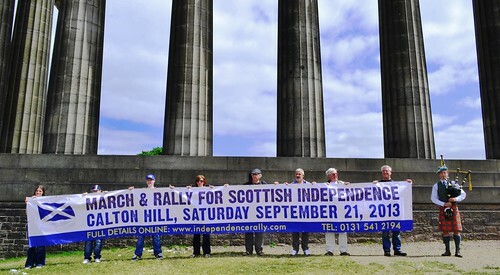 This group met in Edinburgh on Monday 15th July 2013 to advertise a march and rally which is to be held on Carlton Hill in Edinburgh on 21st September 2013. 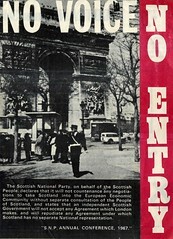 Image courtesy of the March & Rally for Scottish Independence. 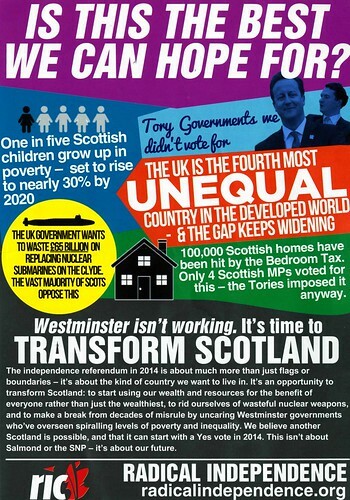 Better Together leaflet, June 2013, originally uploaded by Scottish Political Archive. 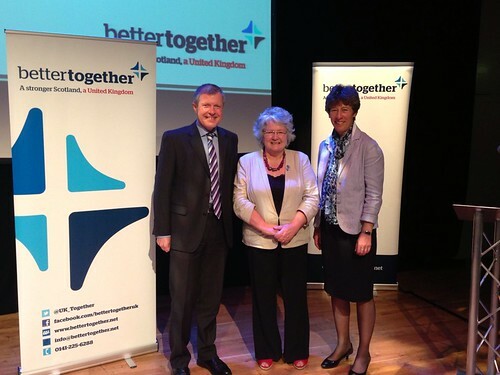 Better Together were one of the No campaign groups for the 2014 referendum. 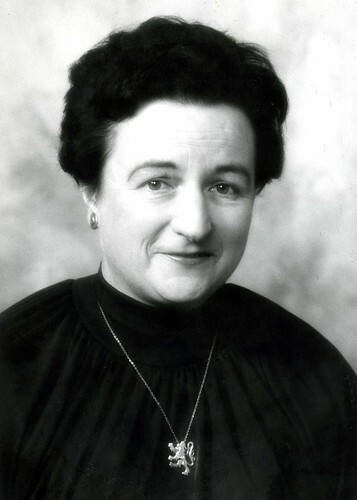 Kay Matheson, originally uploaded by Scottish Political Archive. 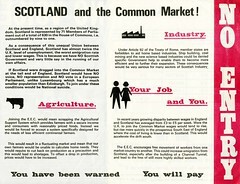 Tonight was the first showing of STV’s three-part programme on the referendum and it featured photos and leaflets from the Scottish Political archive collection – It’s Scotland’s Oil leaflets and the photos of the glamourous Margo MacDonald.